Senior leaders realise the stakes of not addressing digital transformation. PWC suggests that CEOs who aren’t prioritising digital are either changing their minds or being phased out. If you compare PWC’s 2007 Digital IQ report to 2016’s, you’ll see that the number of executives who said their CEO was a champion for digital has more than doubled from 33% to 68%. 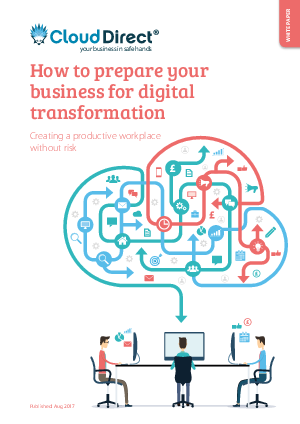 Digital transformation doesn’t have to be intimidating or complicated. If you take it in stages and work with an experienced partner, it can be a straightforward journey. At this stage, it’s all about transforming how people work.